Since 1987, U.S. Air Conditioning & Heating has delivered the finest in HVAC repair, maintenance, and installation to customers in and around Tampa Bay, Florida. U.S. Air Conditioning & Heating has developed a solid reputation for prompt, effective services to residential clients. Recognized throughout the Tampa Bay area for superior air conditioning and heating services, U.S. Air Conditioning & Heating illustrates a long list of testimonials from satisfied customers. Through their longtime association with Rheem® Manufacturing Company, U.S. Air Conditioning & Heating has earned high honors for service and sales. In 2009, U.S. Air Conditioning & Heating was awarded as one of Rheem® Manufacturing Company’s Top 10 Contractors in North America. U.S. Air Conditioning & Heating currently holds distinction as the largest Rheem® dealer in the Tampa Bay area. U.S. Air Conditioning & Heating is also a member of the Honeywell® Contractor PRO Program, through which they offer Honeywell® HEPA and UV systems, dehumidifiers and whole house air cleaners. Certified by the State of Florida and the Environmental Protection Agency, U.S. Air Conditioning & Heating services the Tampa Bay Area including Pinellas, Pasco, Hernando, Hillsborough and surrounding counties. With options such as the Preventative Maintenance Agreement (PMA), U.S. Air Conditioning & Heating offers complete home comfort and regular checkups for all installed HVAC systems. 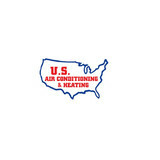 For more information about U.S. Air Conditioning & Heating and its services, call 727 -233 -4789 . Our experience, dedication, honesty and reliability is what makes us unique. Our customers satisfaction is our goal, we strive to always make a long term relationship and treat you like family. We Service, Repair & Install Every Brand, Make & Model! We have experience with all different appliance and air conditioning brands and models. If you have a problem with your air conditioner or home appliances, we certainly have a solution for you. Our trained technicians are certified specialized in all air conditioning and major home appliance repairs, services & installation. We also have a quick response time and a solution that will serve you best regardless if it's a small garbage disposal problem or major appliances like refrigerator, washer, dryer, range, oven, cook top, ice maker or air conditioning and heating units. We can repair and maintain your air conditioning system and home appliances, plus we only use recommended manufacturer parts. We certainly stand behind our work and expertise and can provide a wide variety of air conditioning and home appliance service. 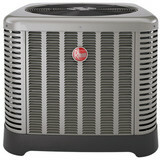 At Betco Heating & Air Conditioning, we offer 24-7 ac repair and air conditioner installation. 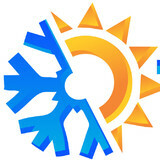 We also offer full HVAC services in both heating and cooling. These are the principles that continue to guide our family business founded by Bill Staples in 1972. My father, Bill, started this business as a major appliance service shop. 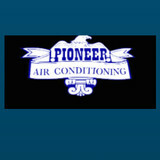 I joined the team in 1984, and together, we grew the business into a full service Air Conditioning company. We are pleased to feature Trane’s state of the art, exceptionally reliable, and energy efficient residential and commercial air comfort products. And all of our technicians must follow strict continuing education requirements to assure that your equipment will always be in the best of hands. I am proud to continue the commitment my father made to our friends and neighbors in the South Lake County Community twenty five years ago and we will never take your trust and support for granted. 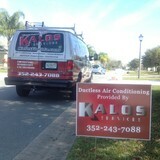 24/7 Air Conditioning, Heating And Plumbing Contractor. We are a local family owned and operated company providing Fair, Fast and Friendly service to our customers we serve. Give us a chance to exceed your expectations! Lakeside Heating Cooling & Plumbing, Inc. is a customer focused heating, air conditioning and plumbing company, with over 22 years of experience and are family owned and operated in Land O' Lakes , FL. We take special pride in the craftsmen we train and employ--a fact you'll notice immediately in the attitude and integrity they bring to your job site. Our entire company works hard to make your experience with us hassle-free and enjoyable. We strive for 100% Customer Satisfaction 100% of the time! Go Green Air & Heat is a Weirsdale heating and air conditioning services company that was started in 2000 by Charles Friedrich in Weirsdale FL. Charles has over a decade experience in the Commercial HVAC (Heating, Ventilation, and Air Conditioning) industry before he started Go Green air and Heat. Our customer base encompasses 70 miles in all directions, servicing commercial, industrial, and institutional customers. Go Green's scope of expertise is in installation and service of HVAC equipment, which includes: air conditioners (all brands and types), commercial refrigeration, chillers, boilers, furnaces, computer rooms, heating pumps, electrical heat strips, proceed heating or cooling systems, filter rooms, cascaded systems, pump, motors, towers, evaporative condensers, filter systems, and large and small package units. We are continually investing in state of the art equipment and training. We take pride in our knowledge of the industry, while keeping a step ahead of the learning curve. We treat each customer with the utmost respect and dignity. We have taken our Green promotion a step further by becoming focused on energy conservation and saving electrical and gas energy for home. So when you need professional heating or air conditioning repair service, you can turn to the heating and A/C experts at Go Green Air & Heat. We specialize in Air Purifier Service, Heating Repair, Boiler Repair, HVAC Repair, HVAC, Humidifier Sales, Heating Contractor, Heating Services, Air Conditioning Repair, Heating Installation. Manufacture of custom made air conditioner covers and pool heater covers for the non-season/winter use. Comfort Control Specialists Inc is a family owned and operated business built off of the old fashioned principles of honesty, commitment, sacrifice, and responsibility. We strive to work on a personal level with our customers ensuring the they get the highest quality. Semper Fi Heating and Air is proud that you have chosen us to service your Heating and Air needs. Our company prides itself on quality customer service while providing outstanding quality products. Semper Fi Heating and Air is a newly formed contractor but we have been in the business for over 13 years. We are a veteran owned business with technicians that are fully insured, licensed and trained with continuous ongoing training to provide you, the homeowner, with the utmost quality service. Complete Climate Control was founded in 2000 with the purpose of providing the highest quality heating and air conditioning service to it’s customers, at a reasonable cost, while not compromising comfort. Every person in the company, is dedicated to resolving your air conditioning needs and we will not stop until we have met your expcetations. “Your Comfort is Our Main Concern” is not just a slogan, but the way we do business. What do HVAC contractors do? “HVAC” stands for “heating, ventilation and air conditioning.” An HVAC technician or contractor specializes in heating systems, air duct cleaning and repairs, insulation and air conditioning for your Citrus Hills, FL home and other homes. Generally, Citrus Hills HVAC contractors or HVAC technicians work with or run companies that repair or install heating systems and air conditioning units for homes. But they have specialized services too. For example, if you are a wine collector and you are thinking of installing a wine cellar in your Citrus Hills, FL home, you might hire a Florida HVAC professional who specializes in refrigeration work. HVAC professionals can use their skills to help you to save money on your Citrus Hills, FL home’s energy bills by installing radiant barriers in your attic or split-zone heating and cooling systems to heat rooms like solariums while cooling upstairs bedrooms during warmer temperatures. Find HVAC contractors on Houzz. Look in the Professionals section of our website and search for Florida HVAC contractors. Read reviews and see how an HVAC contractor might approach your Citrus Hills, FL home’s heating and cooling challenges.